Not only do you get the satisfaction of helping launch a project but you also get a tidy saving on your figures, I should stress though you shouldn't treat pledging monies as shopping. I kicked in $300 for the Cavalry Commander level pledge which should see some lovely Richard Ansell cavalry sculpts winging it's way in my direction early next year, cant wait. 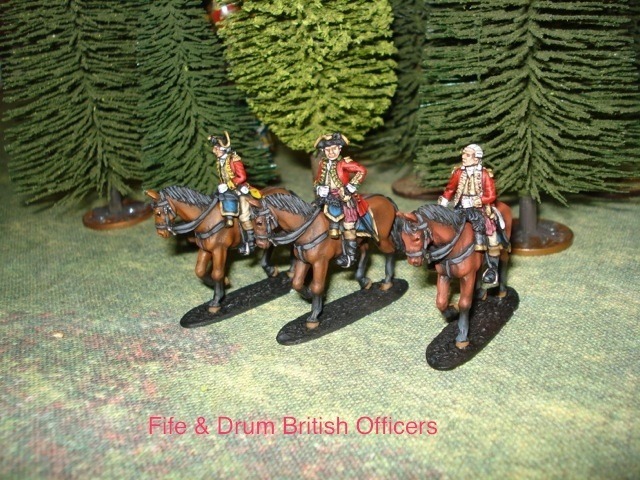 The Fife and Drum range has been quite successful and very well received and this is reflected in the original goal and stretch goal levels that have been reached. Originally as a $5000 goal it is now over $20,000 !!! with a final stretch goal of $24,000. So if like me, at first, you are reticent about the whole idea I would heartily recommend this Kickstarter project as a first off. These are some well sculpted figures and I like the way you paint your horses. 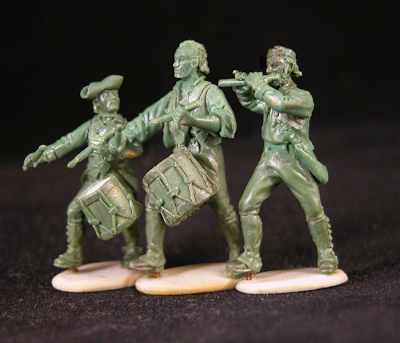 I'd get in on this as I need to stock up on some military figures for Curts Analogue Painting Challenge this winter. But funds are short due to getting int other Kickstarters earlier this year (not Reaper though). Oops I should have made it a bit clearer, these were painted, I assume, by the alt Fritz (Mr. Fife and Drum) himself. Kickstarter is/has a pretty good setup, I'm glad I was in a position to take the plunge and put a bit of money into a worth while project. Well I would have you would be a "Bones" girl Anne?